First Book’s book experts picked their favorite spooky stories that will frighten and delight young readers. Don’t be afraid to pick up any of our recommended titles! At the edge of town lives a clever girl with a spooky problem: Her house is haunted! Luckily, she happens to be a witch and knows a little something about taking care of ghosts. We love this book because: it’s got just the right amount of sweet and scary for the youngest trick-or-treaters. Fresh and charming illustrations in dynamic orange, black and white bring this resourceful heroine and these spooky ghosts to life. Follow los monstruos and los esqueletos to a Halloween party in a fun and frightful bilingual poem. 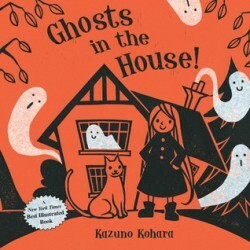 Accompanied by illustrations that are as gorgeous as they are creepy, this is a great Halloween-themed read-aloud book that kids will want to read and re-read all year long. 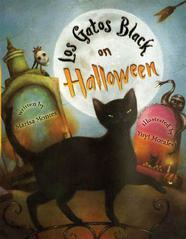 We love this book because: this book introduces young readers to a spooky array of Spanish words that will open their ojos to the chilling delights of the season. After Keats and Henry lose their bikes, they need money – fast. So the help-wanted ad at the supermarket seems ideal for them. All they have to do is weed Hallway House’s garden, find some light bulbs in the attic, sweep the garage…and battle a shark-headed zombie. We love this book because: With an imaginative youngster as its main character, this book weaves the tale of an exciting and fun adventure that will keep kids turning pages and entertain even reluctant readers. Elena Padilla’s father didn’t believe in ghosts, and that’s a shame, because his disbelief ends up making Elena a very sick girl. The story starts in an old rundown house in a dusty little town in Arizona. Nobody will rent that house because … well, a ghost haunts it. The landlord can’t even rent it out for free! That is, not until foolish old Frank Padilla comes along thinking he can save some money. Lucky for Elena that her grandmother knows all about the mysterious ways of ghosts. 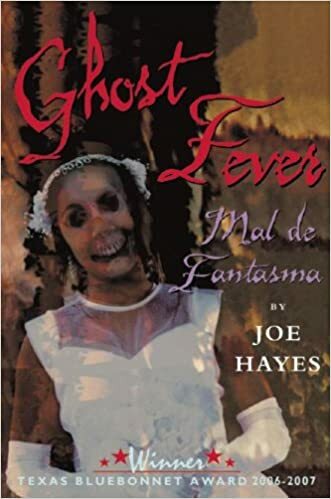 With her grandmother’s help and advice, Elena solves the mystery of the ghost girl, recuperates from her ghost fever and, in the process, learns a valuable lesson about life. We love this book because: It’s really scary! The incredible details of this story – with English and Spanish on opposite pages – will stay with readers after the story ends. Children who enjoy a good fright will really love this book. A sinister Problem has occurred in London: all nature of ghosts, haunts, spirits, and specters are appearing throughout the city, and they aren’t exactly friendly. Only young people have the psychic abilities required to see—and eradicate—these supernatural foes. We love this book because: Complex and endearing characters navigate an alternate reality wherein the dead don’t die – what’s not to love? The book’s fantastic world is sure to hook readers – even we can’t wait to pick up the next title in the series!